Happy new week! Today I’ve teamed up with my friend and fabulous shop owner Lindsay of Darling Clementine to curate a few of my favorite things in her shop right now. With the new baby, and also with dreaming about spring and summer too, I can’t help but visit, plan and shop. There’s so much to love! Lindsay is being so kind and offering Old, New, and the wee one too readers 10% off your entire order with the code ‘latonya’ at check out! Also! We have a huge giveaway happening now on instagram(@latonyayvette)! 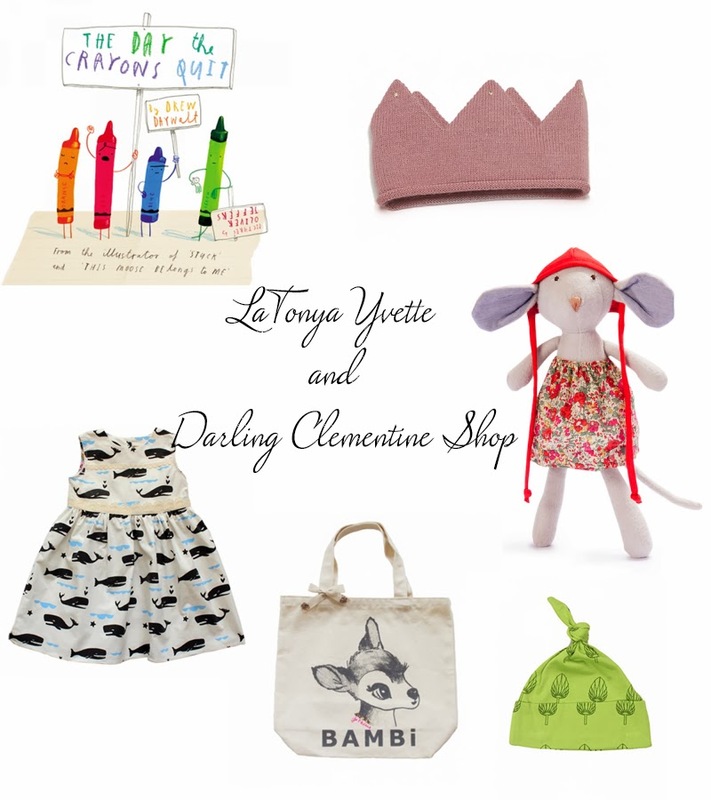 Lindsay is offering one lucky instagram follower an Oueuf Wild Things Crown and a Baby Baggu (for mama)! To enter the giveaway on instagram all you have to do is follow myself and Lindsay(@missdarlingclementine), “like” my original post on instagram, comment, and repost the original photo on instagram and tag us when you repost. You can also tag as many people as you want in my instagram comments section for extra entries! So easy, so fun! Good luck! Here is a little bit of what I have curated, you can see the rest here.